Do you sometimes feel trapped or wounded by painful relationships? You are not alone. The Bible tells the stories of men and women who learned to trust God when they suffered pain at the hands of people they loved. 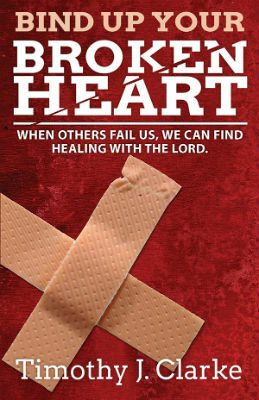 Bind Up Your Broken Heart by Timothy J. Clarke reminds us that when others fall, we can find healing with the Lord. The Bible tells of Leah, who was used in a relationship where her husband cared more for another woman—a woman who was actually Leah’s sister. Even Jesus himself was ridiculed by his own brothers, who scoffed at the idea that he was the Savior of the world. Many Bible stories exemplify characters who dealt redemptively with broken hearts, and author Timothy Clarke organizes his new book along such lines. When you are rejected, the story of Joseph. When you are shamed, the story of David’s men. When you need restoration, the story of Samson. When you are ridiculed, the story of Jesus. Questions for group study are also included. 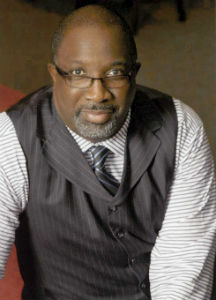 Bishop Timothy J. Clarke is the visionary leader and senior pastor of First Church of God in Columbus, Ohio, and serves as bishop for thirty other congregations of the Berean Fellowship. His previously published books include Signs of His Coming; Help for Those Who Hurt; Bring Back the Glory; Daughter, Don’t Miss Your Season; Living in the Blessed Place; Making the Most of Your Time; and Celebrating the Family: Lessons from the Book of Ruth. As an active church leader, evangelist and teacher, Bishop Clarke has received several honors and degrees for his service to the church and has served on the boards of various community and political organizations. His weekly program, Fresh Word, is streamed online around the world. Don’t let another day go by with feelings of rejection, shame, or brokenness. Christ brings healing and redemption. Realize the biblical truths through stories of people just like us. Experience change. Live in freedom. Order your copy of the book online at http://www.warnerpress.org/Product/9781593178796/Bind_Up_the_Broken_Heart.aspx or by calling 800-741-7721. Sign up to download the first chapter for free! This entry was posted in All Church of God and tagged Bind Up Your Broken Heart, book, brokenness, Columbus, First Church of God, new, Ohio, Timothy Clarke, Warner Press. Bookmark the permalink.